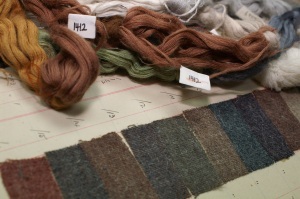 HFW is privileged to own one of the largest archives of Worsted Textiles in the country. 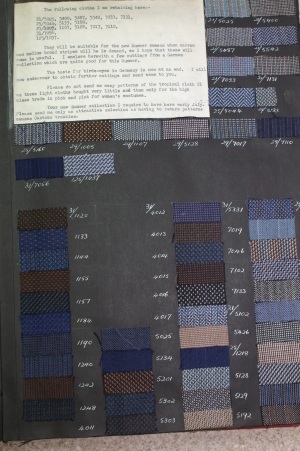 Dating from 1885 this collection of fabric books, design ideas and development swatches offers a wealth of design inspiration as well as a fascinating documentary of the Fine Worsteds Industry. 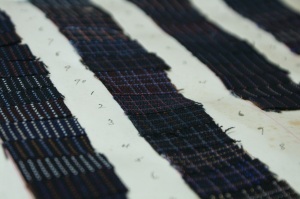 Combining innovation with tradition is an integral part of the HFW ethos, and we regularly use the archive as a starting point when designing new collections, taking inspiration from old patterns and constructions and combining them with modern manufacturing and advances in yarn and finishing technology. 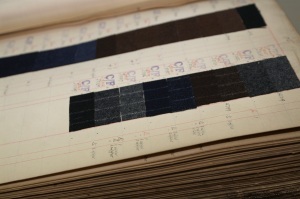 The Archive is also offered as a design tool to our wholesale customers with our Martin Sons & Co. brand which is famed for supplying the finest British fabrics to the world’s top design houses for couture and ready-to-wear fashion. 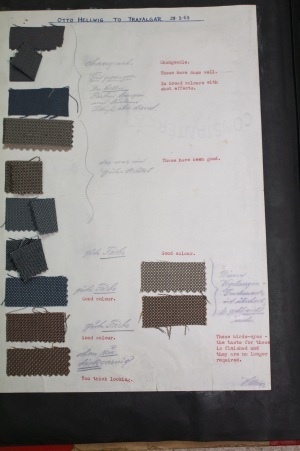 Our Learoyd Bro’ Archive books contain a treasure trove of fabric swatches and correspondence, between the mill, the agents and customers overseas. 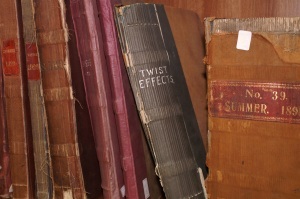 These books give a great insight into the changing trends over the years, and also the varying tastes in different countries. 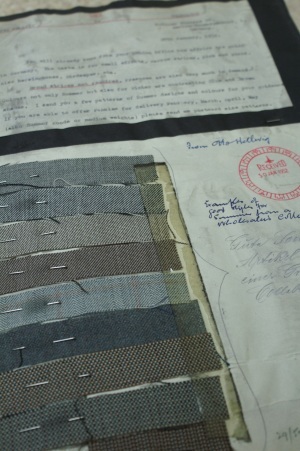 These pictures show the letters and cloth cuttings sent between the mill and Mr Otto Hellwig in Berlin over the course of several months in 1952. 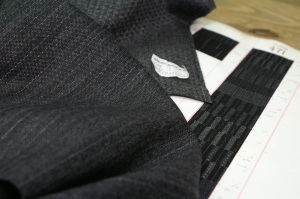 The town of Huddersfield is synonymous with Fine Textiles. 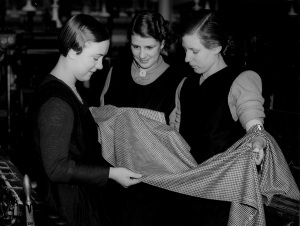 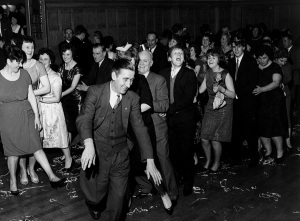 The ups and downs of the industry’s heritage are interwoven with that of the town and its people. 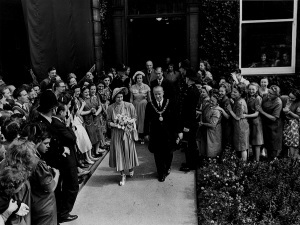 The archive reflects this with some lovely insights into the social history of the area, with some beautiful old photographs, letters and newspaper cuttings.